Getting kids to eat their greens has long been the bane of parents. Carrots, cauliflower, broccoli, peas; no matter the veg, children rarely take to them like they do other foods – so mums and dads often have their work cut out encouraging them to polish off their plates. Thing is though, kids need veggies now more than ever. 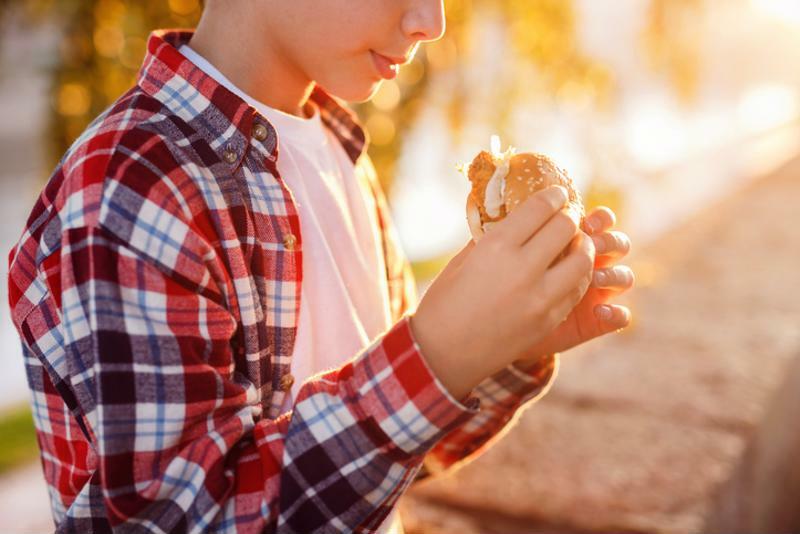 Childhood obesity rates continue to hit the headlines and a quarter of all secondary school age children eat less than one portion of their recommended intake of greens a day, which could be detrimental to their long-term health. And the problem with veg doesn't end with kids. In 2017, Diabetes UK discovered that two-thirds of adults are guilty of eating fewer than three portions of fruit and veg a day, putting them at an increased risk of diabetes in later life. So, with seemingly half the country taking an anti-veg stance, just how do you get people into greens and improve their eating habits? One of the best ways is by incorporating more veg into their favourite meals, giving them healthier credentials without forgoing flavour. Here, we look at some of the best secret vegetable recipes your kids will love, including a couple of suggestions from our favourite bloggers. It is possible to get your kids to love veggies. Lunch should be a time to fill up on healthy vegetables that will help power you through the afternoon, but too many of us – especially kids – aren't getting enough midday sustenance in the form of fresh greens. These simple lunchtime treats aim to change that, providing plenty of flavour with a shedload of veggie goodness. Perfect diced up in a wrap for lunch, green fritters are a tasty option that's sure to be a hit. Protein, vitamins and minerals, these all-veg patties pack a powerful punch and are ideal for keeping the kids going until the end-of-day bell. Best of all, they're super easy to make and require the bare minimum of ingredients, including courgette, broccoli, flour and sunflower oil. Top with a poached egg for a nourishing breakfast that hits the flavour spot. Green fritters are a guaranteed hit. Ditch the Dairylea Dunkers for something a little less calorific with these delicious kid-friendly broccoli and potato croquettes. There'll be no complaints from your little ones when you send them off with a couple of these in their lunchbox, as they provide a satisfying crunchy treat that's the perfect veg-packed lunch for little appetites. 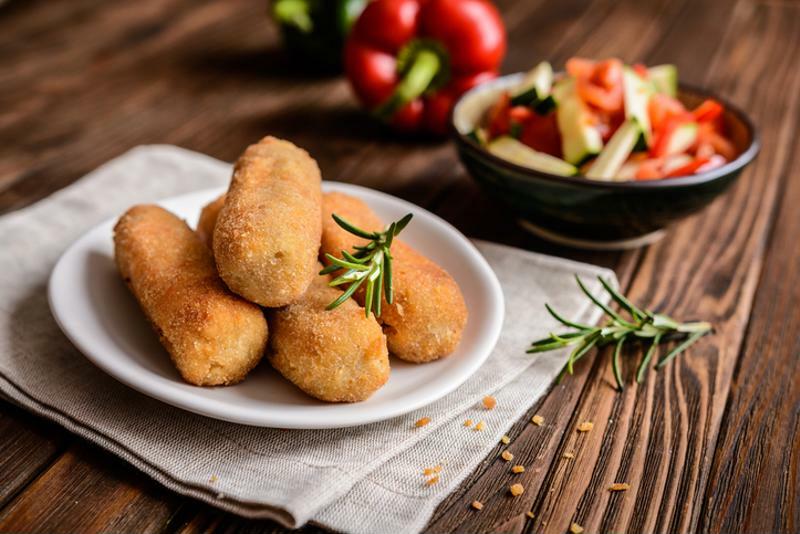 Broccoli is among the most loathed veg out there, but in these croquettes, they'll barely notice it but still benefit from its nutrition. Make up a big batch at the beginning of the week and you'll have easy lunches for the whole week. Most people love pasta, but put too many veggies in and you risk losing the interest of your fussy eaters. That's why this clever pasta with hidden veg sauce is such a great idea for sneaking more veg into their everyday meals. 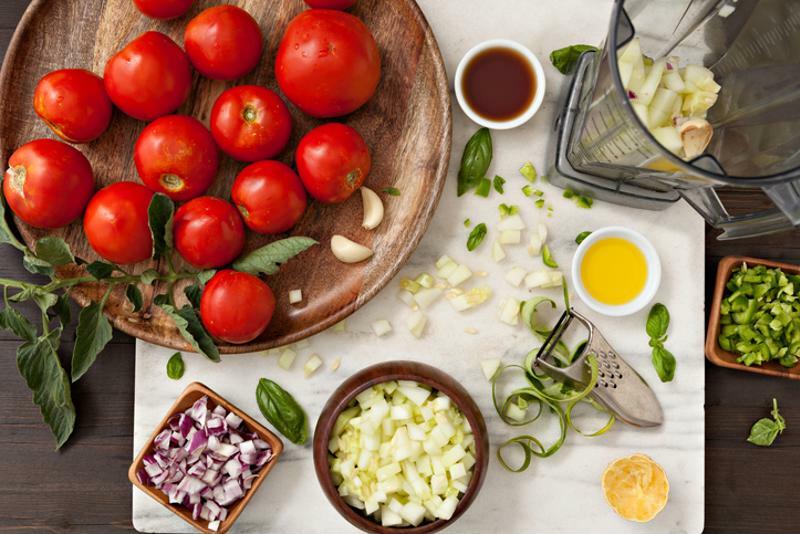 The trick here is to blitz all the veg in a blender or food processor to create a tasty tomato sauce that's secretly packed with vegetables, including carrots, celery, peppers and tomatoes. They'll be none the wiser as they tuck into a seemingly simple pasta dish, and you can rest assured they're getting their daily dose of greens. Dinner time is often when good intentions can fly out the window; a good excuse for you to call up the takeaway or cook up a quick, from-the-freezer meal that's devoid of any healthy greens. However, there are plenty of ways to keep teatime exciting while incorporating healthy veg-filled meals – as the recipes below demonstrate. If there's anything all kids love it's pizza, and this recipe for a simple tomato, red pepper and mozzarella calzone, sent to us by Jo Middleton of Slummy Single Mummy, is sure to be a big win with the family. Here's what Jo had to say about her veg-filled calzone creation: "Calzone is very easy to make, with either shop-bought dough or your own. I roast a tray of red onions, cherry tomatoes and red peppers for about 20 minutes and mix this with chunks of mozzarella as a filling." Another kid-friendly staple that's made healthier with the addition of fresh veggies; these beef and red pepper burgers are the ultimate Friday-night treat. Carrot and roasted red peppers help give these burgers a boost while totting up their daily veg intake. And, they're actually surprisingly easy to make, so it won't feel like you're faffing for hours and missing out on family time. Serve with sweet potato fries for the perfect combination of healthy and hearty. Sneak some red peppers into your kids' burgers. Korma is by far the most kid-friendly curry and this version, which incorporates a shedload of hidden veggies, is bound to get them reaching for the naan bread and tucking in. As well as the usual bits and bobs you normally throw in a curry, this korma recipe uses 800g of vegetables to make it a healthy dinnertime staple. From cauliflower to potato to courgette, you can throw anything you like in here and it'll generally be disguised by the classic taste of korma – stealth veg indeed. Kids love snacks and sweet treats, but everyone knows they're no good for their health, waistline or concentration. Swap bags of crisps and bars of chocolate for these healthy alternatives, however, and your kids can snack happy and stay full between mealtimes. The brainchild of Vicki Montague of Free From Fairy, these carrot cake muffins are the perfect sweet treat for kids as they don't rely on tonnes of sugar. Here's what Vicki said about her snack-friendly muffins: "I created this carrot cake cupcake recipe to try and sneak some fruit and vegetables into my kids' diets, while at the same time giving them a treat. "There's no added sugar in the recipe, with the sweetness coming from the fruit and vegetables alone. It is a firm favourite in our house!" Get the recipe for Vicki's muffins, here. Avocados have become much sought-after in the UK for their health benefits, but perhaps not so much among younger crowds. A good way to get kids eating these super healthy fruits is to turn them into lollies – because what child doesn't enjoy a frozen treat? This recipe uses fresh avocado, yoghurt, lime and vanilla to create a truly satisfying snack on a stick. And with summer right around the corner, we can't think of a better way of stealthily getting some veg into your child's diet. 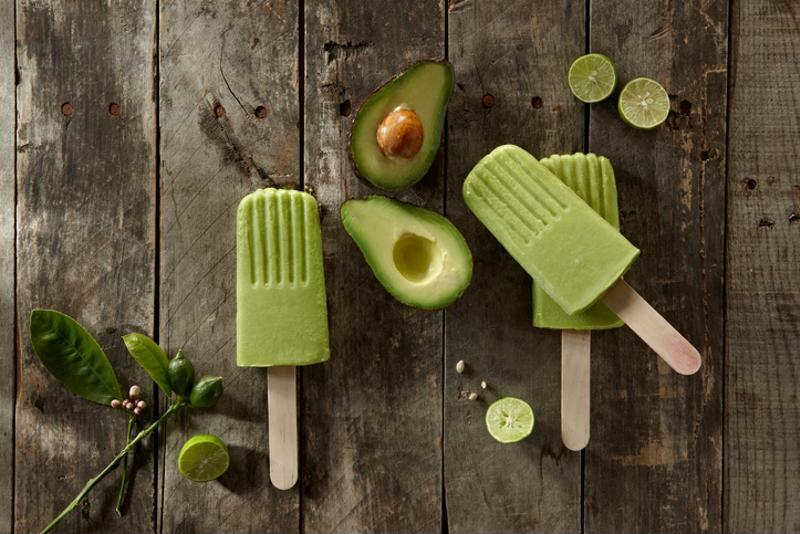 Your kids could get a kick out of avocado lollies. Kids love ice cream, it's a fact. But while the odd 99 with a Flake is OK, it isn't the most nourishing of desserts in the world. If your family has a penchant for ice cream, swap standard full-fat vanilla for this irresistible, fat-free frozen strawberry yoghurt. Combining the natural sweetness of strawberries with the creaminess of traditional ice cream, this healthy alternative is a real no-brainer. Best of all, it's super cheap and quick to make, so you can knock it together for your kids any time of the day. Help is out there for parents struggling to get their kids eating vegetables, and a vacuum sealing device from FoodSaver could be just the thing you need to reinforce healthy eating habits in your home. For more information or to see our complete range, visit the homepage today.